My recent studies expose the fallacies behind California's Low-Carbon Fuel Standard (LCFS) and similar provisions of the U.S. Renewable Fuel Standard (RFS). Such policies claim to reduce the carbon footprint of motor fuels, but are more likely to actually increase CO2 emissions. I'm not alone in expressing such concerns. A paper whose authors include the original developer of the lifecycle analysis method that underpins the LCFS points out how such approaches can mislead policy makers. A recent World Resources Institute (WRI) report faults policies that promote biofuels and create an adverse "food vs. fuel" trade-off. Among the objections to my criticism is that it is merely academic and fails to offer a constructive solution for the transportation fuel-related CO2 emissions that remain after improving vehicle efficiency and limiting travel demand. In California, however, the answer is right under policy makers' noses. 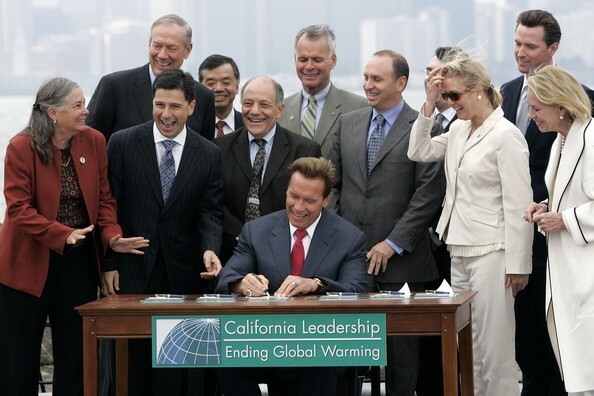 The Global Warming Solutions Act [Assembly Bill (AB) 32] caps carbon emissions statewide, and starting this year also places transportation fuels under the cap. AB 32 is the best climate protection program established anywhere to date, and with a technical correction plus expanded provisions for carbon offsets, it would be an ideal policy for addressing fuel-related CO2 emissions. The cornerstone of effective climate policy is sound and verifiable carbon accounting. Fuel policies defined using lifecycle analysis are neither sound nor verifiable, and the liquid fuels such policies classify as "low-carbon" have questionable merit. Counting real carbon -- the physical substance that can be chemically measured in gas pumps, pipelines and tankers -- is straightforward. After combustion and in the form of CO2, it's what gets directly measured when cars are tested for emissions and fuel economy. Whether from tailpipes or smokestacks, real carbon is the basis for AB 32 as well as for the new federal Clean Power Plan. Tracking carbon carefully is the climate policy equivalent of the business dictum, "what gets measured, gets managed." Chemically, the amount of carbon in liquid fuels varies only trivially. The notion that biofuels or other liquids billed as "low carbon" somehow reduce emissions from cars, trucks and jets is, quite literally, unreal. Burning such fuels does not change how much CO2 actually gets emitted. Any possible benefit can only be realized outside the transportation sector on productive land where an increase in net carbon uptake is achieved. Because there's no practical way to capture carbon before it leaves a tailpipe, as long as liquid fuels are used it will be necessary to balance out their emissions by absorbing more CO2 from the air somewhere else. That means creating carbon offsets, and to be effective, such offsets must remove carbon from the atmosphere faster than it's already being removed. In carbon accounting parlance, the offset must be additional in the sense of increasing the rate of net CO2 uptake beyond whatever is already occurring. In California, the AB 32 cap-and-trade program offers a correct framework for balancing fuel-related CO2 emissions. A necessary technical fix is to fully include, rather than omit, biofuel CO2 emissions in the cap. Moreover, carbon offsets should be expanded and embraced as a key mitigation mechanism for the transportation sector instead of viewed mainly as a way to contain costs. Federally, the country still needs to forge a political consensus to control carbon. The RFS provides no shortcut in that regard; it is a road in the wrong direction as far as climate is concerned. Several policy options offer solutions for transportation fuels, including direct regulation, cap-and-trade or a carbon tax. Whatever choice is made, it is crucial that the policy is defined on the basis of sound carbon accounting and tied to an expansive CO2 removal program anchored in verifiable carbon offsets. In short, a clear-eyed focus on tracking real carbon will reveal policies that are far more effective than those now in place but which are based on the low-carbon fuel fallacy. Prof. DeCicco, it does matter where carbon comes from. When we dig sequestered (fossil) carbon from geological deposits and use it to produce energy, we are increasing the amount of carbon in the atmosphere. When we use photosynthesis to fix carbon and use the resulting biomass to produce energy, we are recycling carbon to the atmosphere. To argue that bioenergy crops are grown on lands that were already fixing carbon and hence does not affect the carbon cycle overlooks the fact that we are intercepting and productively using the energy captured by photosynthesis – and even increasing the amount of carbon fixed. It is true that none of the current alternatives to fossil fuels, whether biofuels, wind, solar, or nuclear energy, is able to draw down the carbon dioxide that has accumulated in the atmosphere as a result of burning fossil fuels. This would require carbon negative energy such as “bioenergy with carbon capture and sequestration” (http://newscenter.berkeley.edu/2015/02/09/electricity-from-biomass-with-carbon-capture-could-make-western-u-s-carbon-negative/) and “pyrolysis/biochar” energy systems (http://www.engineering.iastate.edu/research/eri/initiatives/strategies/icne/). I have recently written an opinion piece in The Hill to help the public understand that biofuels can help reduce the accumulation of carbon in the atmosphere but only carbon negative energy can reverse the process: http://thehill.com/blogs/congress-blog/energy-environment/234750-managing-carbon-like-coffee-cups. As noted in response to Bruce Dale's comment below, my main reply is given in the new post, "Scrutinizing the logic on biofuels." Robert also notes that a net draw down of atmospheric CO2 might be accomplished with "carbon-negative" mechanisms such as bioenergy with carbon capture and storage (BECCS). That is indeed a hypothetical option, but the carbon balance must still be assessed correctly; it cannot be simply assumed the biomass feedstock for a BECCS system is inherently carbon neutral. Integrated assessment modeling (IAM) of BECCS systems do assess such effects correctly in a way that lifecycle analyses as published to date may not. I had to read your blog post and your paper a couple of times to be sure you were serious. Apparently you are serious. John, this is crazy. “Tracking real carbon” is precisely the issue and is precisely where you are wrong. One of the first things that an undergraduate student in biogeochemistry or ecology learns is the difference between carbon “stocks” and carbon “flows”. Carbon dioxide in the atmosphere is a carbon stock and it “flows” into plant materials from which it is later released back to the atmosphere. The net amount of carbon dioxide in the atmosphere is not changed. Sure, there are nuances in this story, but the basic chemistry and biochemistry is well known. Carbon flows from the atmosphere, through plants and back into the atmosphere—no net change. Coal or oil or natural gas also represent carbon stocks. But when this fossil carbon is combusted and released to the atmosphere, it goes on a one way trip from the ground to the atmosphere. It doesn’t go back into the ground…a least not for a few hundred million years. The result is increased carbon dioxide levels in the atmosphere. It couldn’t be simpler. I ordinarily give my colleagues in the professoriate the benefit of the doubt when discussing matters of opinion or interpretation of data. Not in this case, John. The facts are so obvious and so well known. You are just flat wrong. I don’t know why you are making these ridiculous assertions, but I feel I have no choice but to point out, forcefully, how mistaken you are. Thanks to Robert and Bruce for their comments. The points they raise reflect the prevailing wisdom in the bioenergy research community and the strong difference of perspective with my analysis calls for careful discussion. Rather than respond in a lengthy comment, I'll explain things in a new post, "Scrutinizing the logic on biofuels," which appears just above this one. Some very eminent folks have just weighed in with a powerful critique of your recent paper on carbon accounting for biofuels. Here is the link. In your next post, please respond directly and specifically to their critiques, showing why you are right and they are wrong.